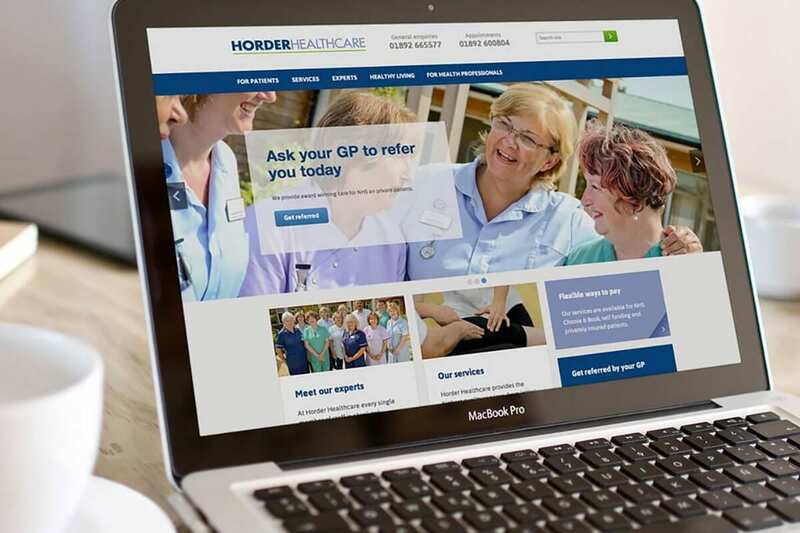 Horder Healthcare manage a hospital and group of clinics that specialise in orthopaedic and musculoskeletal services. An ambitious project is underway to provide preventative and holistic support. Firebrand have designed the website that forms the first stage of that plan. Architect a community hub for numerous stakeholders. Define and create a bespoke, scalable online library. 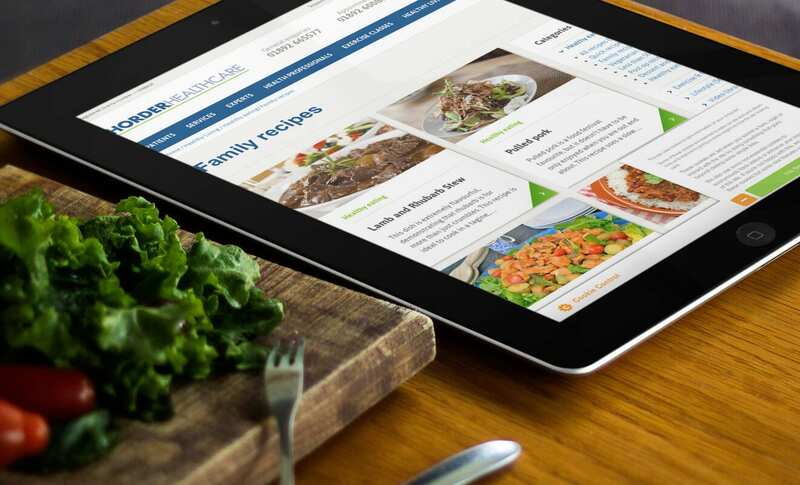 Develop a simple yet powerful content management system. 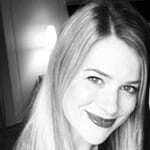 Horder Healthcare have a wide variety of stakeholders. 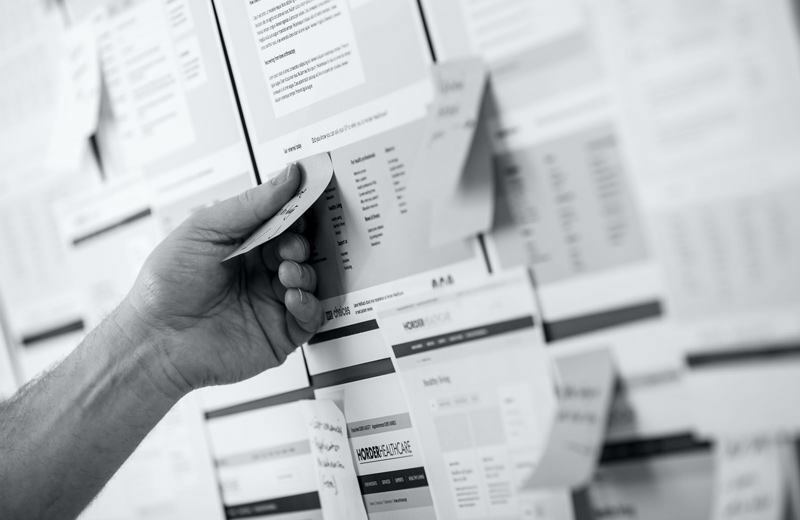 The creation of Personas and Customer Journeys ensured that every user’s needs were identified, mapped and catered for. We conducted Competitor Profiling to position them in the marketplace and ensure that they were clearly differentiated. A full Content Inventory allowed us to assess existing content. 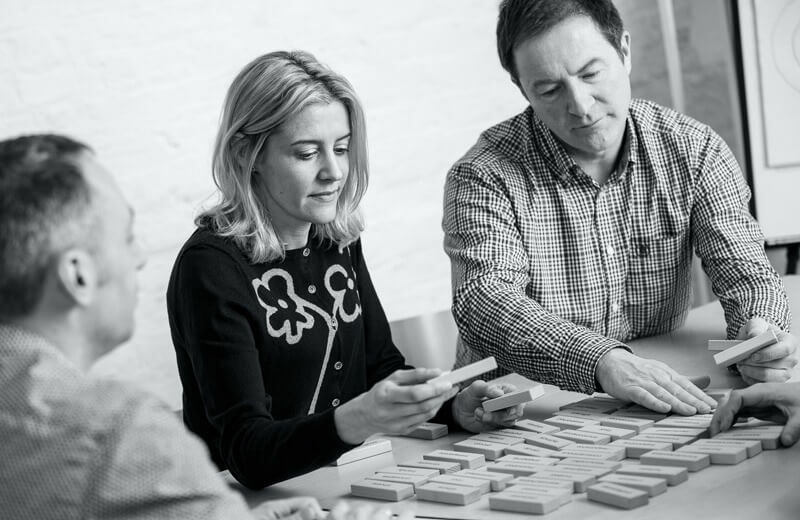 A Content Strategy enabled us to organise and identify any additional needs. And then a detailed Functional Specification itemised every technical detail. All these elements formed part of a Staged Engagement providing the client with a complete blueprint of the site prior to commitment. 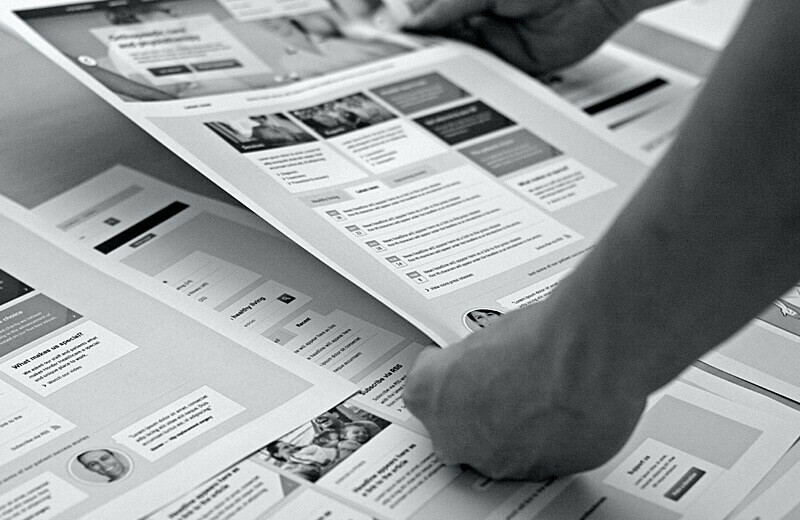 Creating wireframes of the navigation system and all key pages enabled us to test alternative layouts for usability. We were therefore able prioritise content and structure with the client without the destruction of design elements. We ensured the extensive library of content is easily browsed with colour-coded categorisation and related topic function. 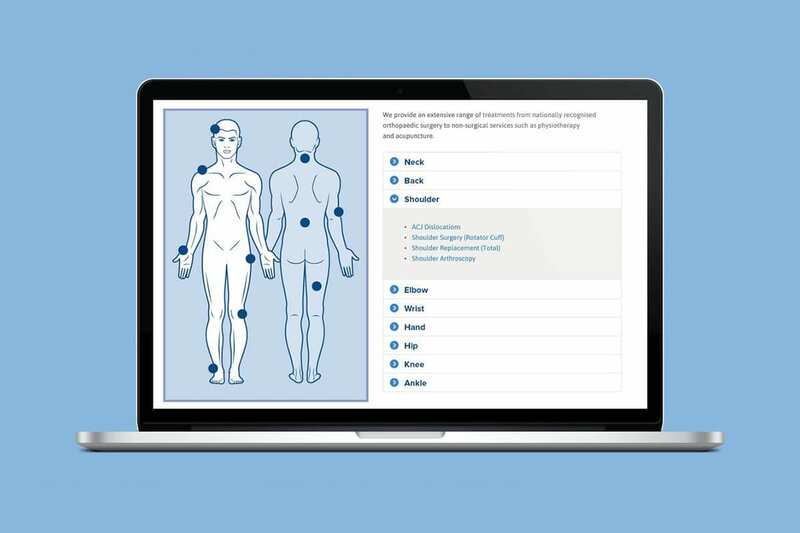 A directory of treatments and diagnosis can be browsed using either an A–Z index and an interactive body map. 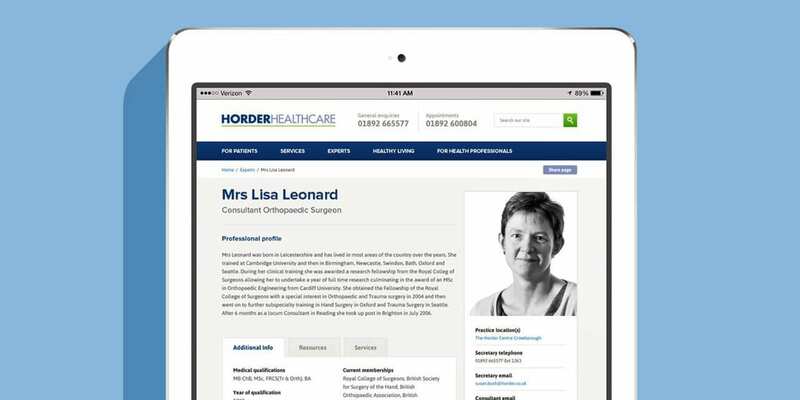 Horder’s extensive list of consultants and physiotherapists are indexed and filtered by profession, specialism and location.